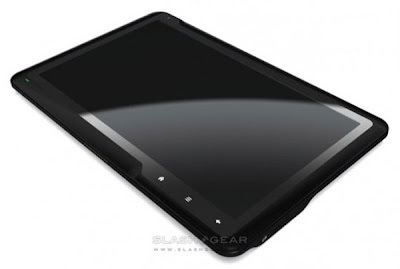 ICD has released details of their latest Google Android based tablet, the ICD Gemini. The ICD Gemini is based on NVIDIAs Tegra 2 platform, and it comes with a 1GHz NVIDIA Tegra processor and an 11.2 inch touchscreen display. The ICD Gemini runs on Google’s Android OS, and it comes with a range of features which include integrated 3G with voice functionality, WiFi, Bluetooth 2.1+EDR, dual cameras and USB peripheral support. On front of the tablet there is a two megapixel camera for video calls, and on the back there is a five megapixel camera with built in autofocus. Other specifications include an accelerometer, an FM radio, digital compass, GPS and 4GB of built in storage plus an SD card slot that can take up to 32GB cards, there is also HDMI, a micro USB port, a 3.5mm audio jack. There are no details as yet on pricing or availability.